Highland Toffee has been produced at the McCowans factory in the town since the 1920s. But, after the local firm closed its doors, the rights to make the children’s favourite have been bought by a Blackpool-based company. The sweetie makers went into administration in September and all 106 workers were made redundant earlier this month. There were hopes a buyer would still be found but that now looks unlikely since the right to make McCowan’s two best selling products have been sold. Tangerine Confectionery will now produce Wham Bars and Highland Toffee, whose wrappers feature tartan and a Highland cow, from their English factories. The company is the biggest independent producer of sugar confectionery and makes Butterkist popcorn, Flump marshmallow sweets, Sherbet Dib Dabs and Black Jacks among others. 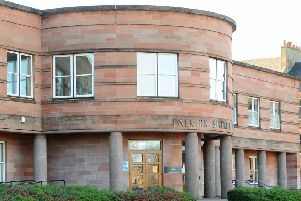 Adrian Mahoney, convener of Falkirk Council’s economic strategy and development committee, said the acquisition was sad news for the McCowans staff who were hopeful the factory would be saved. He said: “It’s been terrible to see the McCowans plant close its doors and its iconic brands sold off. “To have Highland Toffee produced in England will leave a sour taste in the mouths of many local people. “Initially, there were hopes that a buyer could be found for the New McCowans business and that the Stenhousemuir plant could continue trading. Sadly that didn’t happen and we saw the loss of around 100 local jobs. The council and its partners have been trying to support McCowans staff. Meanwhile staff at the now closed factory who sat a driving exam will get their qualification, despite the company not paying for the course. Ten workers from the Stenhousemuir factory sat forklift driving courses in May with Lomond Plant Limited but their certificates were never sent out as the company was not paid for its services. Now Ross Easton, joint managing director for Lomond Plant, is now giving the qualifications to the workers to help them in the jobs market. Mr Easton said: “We always hold off sending out the certificates until we are paid and, despite chasing up McCowans, we never received payment for the training. Two of the employees have already contacted Lomond Plant for their certificates but the remaining are still in the office in Merchiston Industrial Estate. If you were one of the staff who sat the course in May, contact Lomond Plant Limited on (01324) 612222.